Small office working primarily on residential projects. Clients include homeowners, builders, investors. The common thread is high end design with max end value. 50+ projects in past 3 yrs. - Dallas area. New construction / remodeling including feasibility. Dixon Kanyinda graduated from the University of Texas with a Bachelor Degree of Science in Architecture May 16th, 1998 not registered by TBAE as an architect. Dixon Lubula Kanyinda operates a small design workshop located in Arlington, Texas. 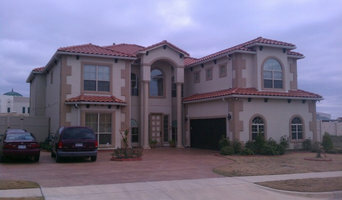 He provides plans, construction document packages, that will allow you to build your custom house. Monteleon Designs is a company that specializes in residential design. Ranging from new construction to remodels we have the knowledge and expertise to fulfill any design needs. Whether it's a builders set or full set of plans. Let Monteleon Designs help make your dream home a reality and a work of art. Since 1994, Anton Jacobs Architects. Inc. has been known for innovative design closely intertwined with ultimate function. 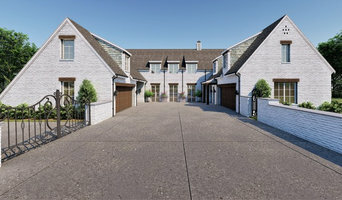 As a builder’s architect with hands on knowledge of construction and project management, AJ Architects is highly experienced in a wide variety of design projects. From commercial to residential, new construction to renovation, exterior to interior, Anton Jacobs Architects can turn your dreams into reality. HRO Architects is a full service architecture and planning firm founded in 2012 to provide creative architectural solutions and thoughtful service for clients, both public and private, in Texas and beyond. We are a lean organization of experienced professionals, ready to respond with practical solutions, the latest technology, and client-oriented service. Paul J. Verheyden is a highly organized, seasoned professional with significant experience in the management and implementation of the design, construction and operations of facilities. How do I find the best Italy, TX architect for my home design or renovation project? When building or renovating your home, you don't simply hire an architect or building designer — you build a relationship with them. Be sure you chose a home architect who will be involved in all phases of the design process, from the initial concept to the completed construction. Architecture is an incredibly technical profession and one where getting things wrong can literally put lives at risk, so ensure you hire a professional with a valid license or an architectural firm to maintain high quality and standards. Your next consideration will be architectural style. Some residential architects specialise in designing traditional homes or farmhouses, others in designing modern replicas of traditional homes. While a few have a knack for imagining bolder, more futuristic architectural design in Italy, TX that incorporates the latest technology. How much does hiring an architect in Italy, TX cost? Home construction and renovation often have a preset budget and hence it is important to understand how much architects charge. While there is no set payment structure, independent architects may charge differently from architectural firms. Architects sometimes choose to calculate their fees on the basis of a per square foot rate. 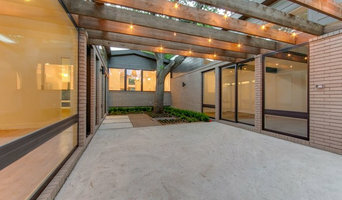 In rare cases, especially with smaller projects, Italy, TX architects may choose to ask their clients for a fixed fee. Make sure the total figure and payment schedule is agreed as part of your contract, particularly if you are trying to accurately estimate the cost of building a house. Find a home architect in Italy, TX on Houzz. 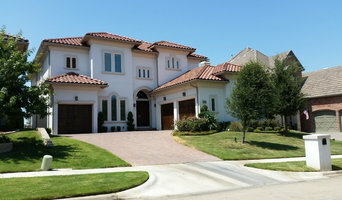 Narrow your search in the Find Pros section of the website to Italy, TX architects. You may also look through photos projects to find building designers in Italy, TX who have worked on a project similar to yours.